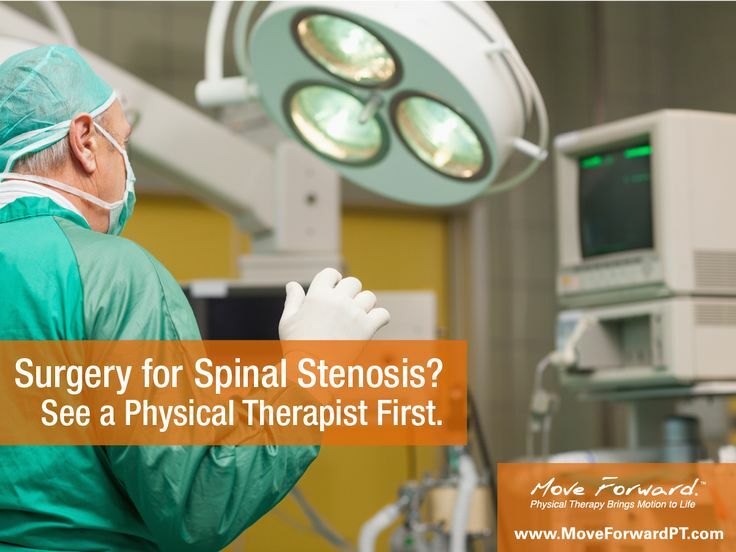 Thinking of going under the knife for lumbar spinal stenosis (LSS)? According to a new study, you can have equal success skipping surgery and going straight to physical therapy. "Surgery is a riskier procedure, with about a 15% complication rate, and half of those are life-threatening," said Anthony Delitto, PT, PhD, FAPTA, in a Reuters article about the study ("Physical therapy may be as good as surgery for common back problem" – April 6, 2015). "It isn't a life-risking procedure to do physical therapy." Delitto led the study, published in the April 2015 issue of Annals of Internal Medicine, which is the first to directly compare a single, evidence-based physical therapy regimen with decompression surgery among patients who agree to be randomly assigned to either approach. Previous studies have focused on comparing surgical and (mostly unspecified) "nonsurgical" elements, and allowed some patients to self-select their treatment groups. In an editorial that accompanies the study, it was concluded of the 2 treatment approaches, "These data suggest that patients with LSS should be offered a rigorous, standardized [physical therapy] regimen. Those who do not improve and ultimately consider surgery, should be informed that the benefits are likely to diminish over time."